1.Produce different purlin size without changing rollers or spacers. 2.No need changing cutter for different size. with 3 cylinder(one cyinder for single hole and 2 cylinders for dual-holes. Rollers manufactured from high quality bearing steel GCr15, CNC lathes, Heat Treatment. with black treatment or Hard-Chrome Coating for options. and then input the required production data on the touch screen. like traditional old style machine (which takes over 45 minutes for each production size changing). 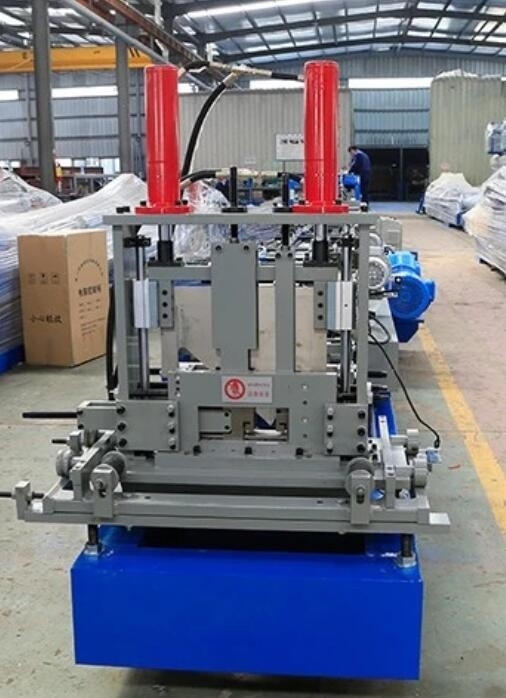 is one year after the client receives the machine. Within the one year, we will courier the replacement parts to the client free of charge. 3. We can send our technicians to install and train the workers in the clients' factories with extra cost.